Sir Robert McAlpine is a UK-based family-owned building and civil engineering company. Established in 1869, we have been a ubiquitous construction leader over two centuries. We are honoured to have worked on some of Britain's most iconic buildings and projects. The values at the heart of our operations include a commitment to the highest standards of safety, quality, engineering excellence, sustainability, and an unswerving focus on the needs and aspirations of our clients. Our aim is to make a positive impact on the communities and the environment in which we operate. We believe being inclusive and nurturing a diversity of talent and skills will help us to continue our rich legacy of technical excellence to proudly build Britain's future heritage. We have an exciting opportunity for a Senior Quantity Surveyor who has experience managing their own project to join us in Manchester City Centre. What responsibilities will you have? Minimise risk, maximise opportunity, minimise cost and maximise value Work within a team and provide support to the commercial lead Subcontract commercial management from order through to final account Administration of contract commercial requirements including valuation, final account, change management, variation and Compensation Accurate cost checking and cost management including the cost checking and analysis of labour, plant and materials What qualifications are essential? BSc Quantity Surveying/Commercial Management Relevant Construction Skills Certification Card What qualifications are desirable? Further associated degree/masters' qualification Member of the Royal Institute of Chartered Surveyors Member of Chartered Institute of Building Member of Institute of Chartered Engineers What's in it for you? With an industry-leading package and exceptional training, this is your chance to develop an exciting and varied career path in a family-owned company which treats its people with courtesy and respect. We offer excellent benefits for our employees including a Contributory Pension and Life Assurance Scheme, discounted gym membership, staff discounts, 25 days holiday per year, Cycle to Work Scheme, private healthcare, childcare vouchers and an Employee Assistance Programme. Sir Robert McAlpine Ltd is an equal opportunities employer. 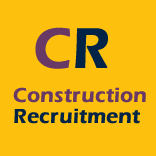 Due to continued growth, a small but well renowned consultancy in Bristol are seeking a Building Surveyor to assist them over the next 6 months. The work will predominantly be project work in schools, to include refurbishments, windows, roofing etc. There will also be some survey work. The office you'll be reporting to will be in the North of Bristol as they're in the process of relocating. Part time work will also be considered. The successful candidate will likely start in early-mid April. What are we looking for? Degree-qualified candidates who have a background in Building Surveying or Project Management Candidates that are Chartered, although this is not essential Strong knowledge of JCT projects Must have a car and full UK driving lisence What's in it for you? £20-£35 per hour Full time and part time work available Small but well respected consultancy 6 month contract, subject to review If this role sounds of interest, please click the 'Apply Now' button to be considered. Girling Jones Ltd is acting as an Employment Business in relation to this vacancy. Job Purpose To assist with the delivery of both the statutory Principal Designer duties and where necessary, to assist the Client with their duties under the Construction, (Design & Management) Regulations 2015 Responsibilities Assisting with the planning, managing and monitoring of the pre-construction phase and coordinating matters relating to health and safety during the pre-construction phase; Preparation of reports, statutory notices, Health and Safety Files and other documentation; Attending (as necessary): Design team meetings; Client Progress meetings; Project meetings; Identify and eliminate, or control, so far as is reasonably practicable, foreseeable risks to the health or safety of any person affected by the construction work, cleaning and maintenance of the building or the use of a structure designed as a workplace; To be aware of business continuity processes via Line Manager Promote Interserve Construction within the industry Knowledge Skills & Experience Chartered Construction or other related qualification; NEBOSH or NVQ safety related training or qualification (Desirable) Interest and expertise of CDM regulations and application for the regulations Experienced in assembly of Preconstruction Information Packs & H&S Files Experienced in providing professional Health and Safety advice to Clients and Designer Through understanding and competence in developing CDM processes throughout a project Capable of independent action when Senior Consultant otherwise engaged Advice relating to CDM regulations and application for the regulations (Desirable) Construction Design or Management experience Assembly of Preconstruction Information Pack & H&S Files (Desirable) Team working with senior CDM advisors (Desirable) Involvement in developing CDM processes (Desirable) Demonstrable independence of actions as a Senior Consultant H&S competence leading to Chartered H&S status, Charter Building Manager, Chartered Surveyor (or similar) (Desirable) A prolonged experience in Project Management, with SMSTS and a Black (Managerial) CSCS card. (Desirable) Competently access Principle Contractors and Designers Have knowledge of contract JCT and NEC Have a good knowledge and understanding of programming, including RIBA stages All above attributes are ESSENTIAL unless otherwise stated. Person High level of leadership and management skills; Commercial and financial ability; Excellent interpersonal and communication skills; Technical experience and knowledge; Have an ability to successfully work autonomously and within in a team. Customer/Client focus; Confidently make on the spot decisions in a calculated manner. Summary We are pleased to announce that the London & South East region is looking for a Building Surveyor to join the Kent and East Sussex portfolio, based at Scotney Castle, as part of our large and renowned Consultancy. The role will involve working with a fascinating range of properties including the Medieval and 19 th century buildings at Scotney Castle, 17 th century properties at Knole, Sissinghurst and Batemans and Churchill's Arts and Crafts house at Chartwall, as well as playing a pivotal part in ensuring our let estate remains in good condition for our residential, commercial and agricultural tenants. If you are a chartered Building Surveyor or a part qualified APC surveyor within 6 months of qualification, who enjoys working collaboratively with a variety of clients and is looking to work on more of a flexible and consultancy basis, then this could be the role for you. Although, please note it is not just about your experience, but about your attitude, vision and ultimately 'you'! The salary ranges from £32,300 to £41,200, depending on skills and experience. In addition we offer an impressive benefits package including flexible working, up to five volunteering days and a competitive contributory pension. What it's like to work here We are pleased to announce that the London & South East region is looking for a Building Surveyor to join the Kent and East Sussex portfolio, based at Scotney Castle, as part of our large and renowned Consultancy. The role will involve working with a fascinating range of properties including the Medieval and 19 th century buildings at Scotney Castle, 17 th century properties at Knole, Sissinghurst and Batemans and Churchill's Arts and Crafts house at Chartwall, as well as playing a pivotal part in ensuring our let estate remains in good condition for our residential, commercial and agricultural tenants. If you are a chartered Building Surveyor or a part qualified APC surveyor within 6 months of qualification, who enjoys working collaboratively with a variety of clients and is looking to work on more of a flexible and consultancy basis, then this could be the role for you. Although, please note it is not just about your experience, but about your attitude, vision and ultimately 'you'! What you'll be doing The National Trust harbours an extraordinary wealth of talent, expertise and insight with a range of specialists in every field of our work, for example building surveying, estate management, land-use planning, curation and conservation. The Consultancy is home to creative, supportive and collaborative people who share their individual passion for looking after our special places. Who we're looking for As a Building Surveyor working on a range of properties you may find yourself experiencing something new each and every day. However, the basis of the role is to review, develop and implement programmes of short and long-term work, commissioning and undertaking surveys and investigative work to ensure that we understand the needs of our buildings. You will identify, develop, plan and deliver projects that address backlog and improvement needs. Please ensure that you attach a CV and Cover Letter to be considered.